One of our most masterful memoirists has written her most personal, yet most universal book to date. During the long farewell of her mother’s dying, Patricia Hampl revisits her Midwestern girlhood. Daughter of a debonair Czech father whose floral work gave him entrée to St. Paul society and a distrustful Irishwoman with an uncanny ability to tell a tale, she remained, primarily and passionately, a daughter well into adulthood. Hampl traces the arc of faithfulness and struggle that comes with that role – from the post-war years past the turbulent Sixties. Written from a depth of lived experience, The Florist’s Daughter is a tribute to the ardor of supposedly ordinary people. Its concerns reach beyond a single life to achieve a historic testament to mid-century middle America. At the heart of this book is the humble passion of people who struggled out of the Depression into a better chance, not only for themselves but for the common good. More delicious, funny, elegant and heartbreaking than any memoir in recent memory. 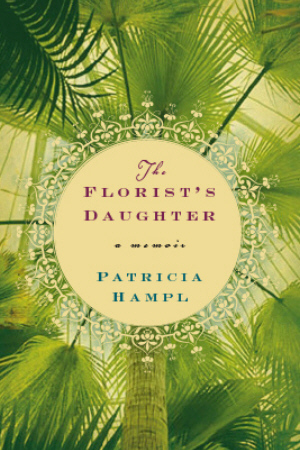 I would read anything by Patricia Hampl, but this must surely be her best book.